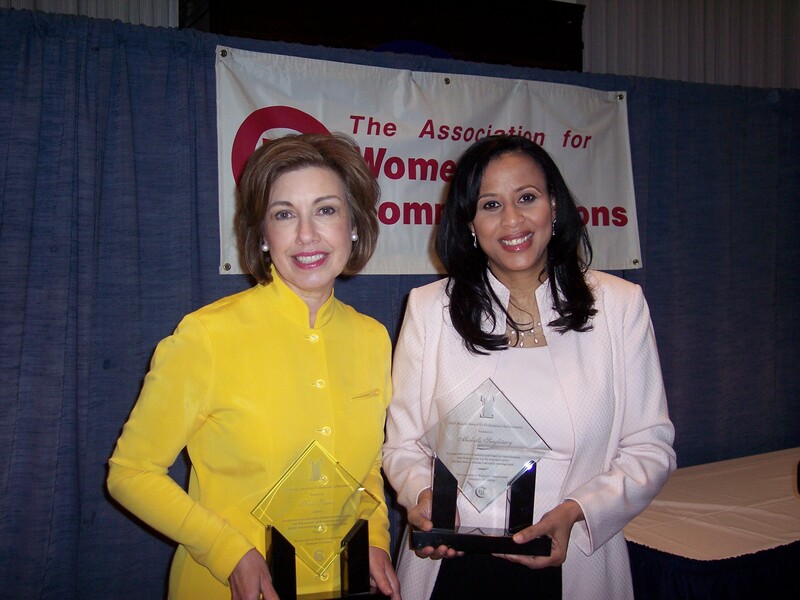 PRofessional Solutions CEO Kate Perrin received a Matrix Award for Professional Achievement from the DC chapter of the Association of Women in Communications (AWC-DC) at an annual luncheon where the chapter recognizes top women communicators in the region. The luncheon was held on May 14th at the National Press Club. Michelle Singletary, author and nationally syndicated columnist for The Washington Post, was also honored. Past recipients include Eleanor Clift, Cokie Roberts and Andrea Mitchell. Clift, the 2008 Matrix award winner, served as emcee of the event. This entry was posted in Around Town, PRofessional Solutions News and tagged AWC-DC, Eleanor Clift, Kate Perrin, Matrix Award, National Press Club, PRofessional Solutions. Bookmark the permalink.